Highly recommended. 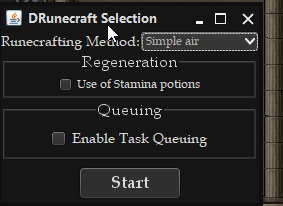 I've used it a couple times and it's the best runecrafting script out there. Wow this is an awesome release can not wait to try it out!! Gratz on release man! 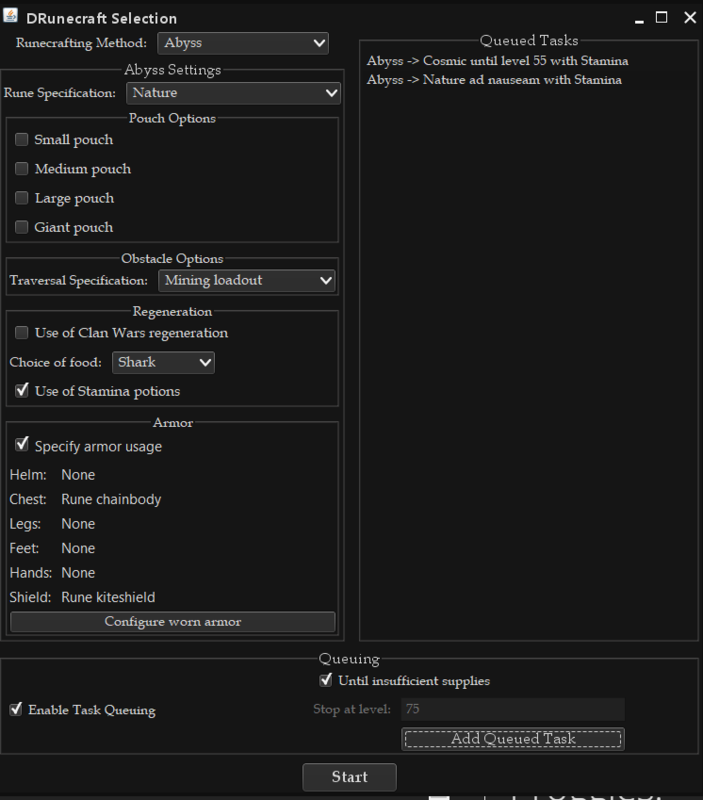 Works great, is it missing death runes for abyss...or am I blind? 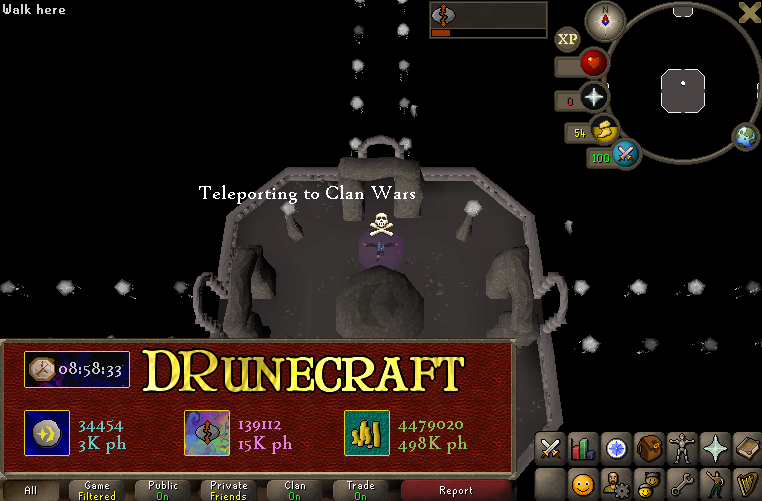 When I set it to do the WC method in Abyss it will do it for 1 run then try to do agility on the 2nd run right after? Im having an issue where it gets stuck every time it tries to switch to a new glory. 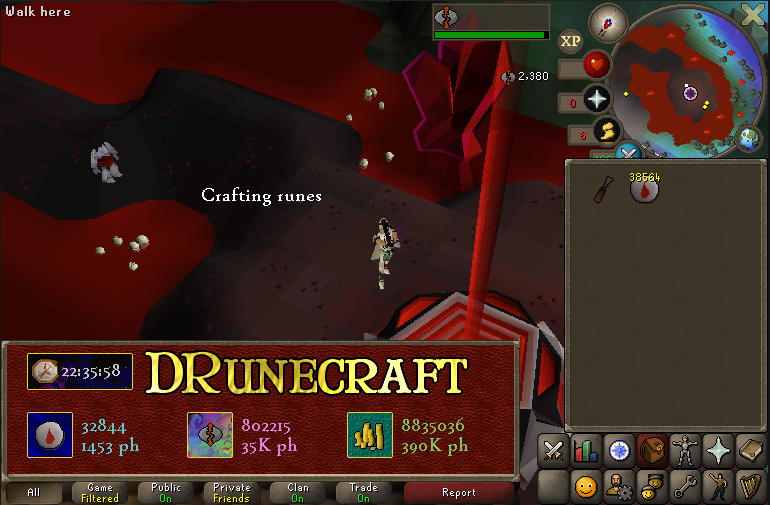 I am crafting nature runes in the abyss. EDIT: it gets stuck on "Depositing unusable glory"